Duststar. . HD Wallpaper and background images in the Make Your Own Warrior Cat! 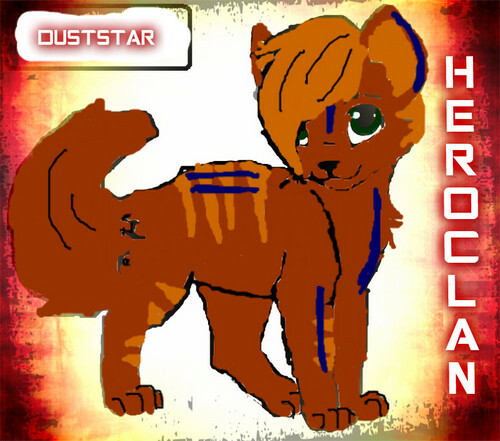 club tagged: warrior cats clan cat. This Make Your Own Warrior Cat! fan art contains anime, komik, manga, and kartun. There might also be tanda, poster, teks, and papan tulis.